Freedom. Independence. Action. Adventure. These are Tregoo’s values that we share with our products’ fans. To boost such values, Tregoo has launched the program Tregoo EXTREME for extreme sportspeople. Half heros, half dreamers, they choose to share their adventures with Tregoo. Sailors, climbers, cyclists, pilots: they are all perfect ambassadors of the spirit of TREGOO. Through the EXTREME Program, we want their adventures to be given endless energy thanks to our SOLAR POWER STATIONS, and at the same time, we want to share their stories with our followers. Born in 1981, with an extreme passion for the sea: in June 2000 he graduates at the Nautical State School in Viareggio, and in 2001 receives two Masters degrees in Marine Studies: at the Marine Faculty in Southampton, UK, and at the Delft University for Technology in the Netherlands. Two years later he graduates in Yacht Design for recreational craft, with a dissertation written in cooperation with the Vismara Studio in Viareggio. 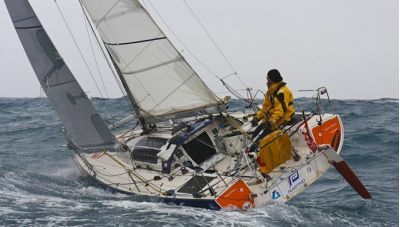 In 2004 with the boat SUI-355 he starts Minitransats racing and in just three years, in 2007, he becomes the youngest Italian to finish the Transat 650 race. In the same year he also wins the Italian Championship and enters the top 84 sailors ranking list. In 2008 he gets his second university degree in Engineering and a new boat: ITA 520. With this boat, Andrea wins the Italian Championship Mini 6.50 Class, ending the year as third worldwide in the class. He has enrolled in the sailing team of the Italian Navy (MARIVELA) since July 2011. Andrea Pendibene is currently racing the Italian Championship 2014 with brilliant results, and preparing for the Vendée Globe 2015. ITA 520 is equipped with TREGOO TL 40 and TL40S Solar Panels, providing the boat with endless energy. Born in 1983, Vieri was born and lives just outside Milan, in Northern Italy. His family taught him, since his early years, how to love mountains and outdoor activities. Swimmer in his youth and amateur triathlete later, he graduated in foreign languages and for several years had been working for a famous cruise company, feeding his passion for travels through short personal experiences and various travel literatures. 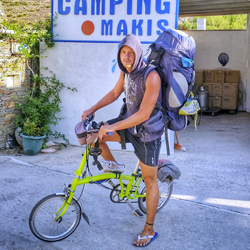 At the age of 31 years he decided to challenge himself into something new and pursue some new paths which lead him first to pedal to the Greek islands, for over two months, riding a folding bike and then along the Via Francigena, sharing stories and photos through a "blog / travel diary”: bicicladi.com. In May 2016 he departs for a one-year-travel, again on a folding bike, from Milan to Asia and across Russia (on the Trans-Siberian railway). 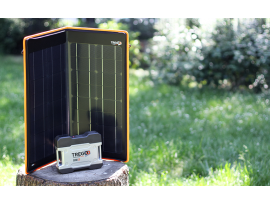 A Solar Power Station Tregoo 10-50 will travel with him to recharge the devices he will document day by day his adventure with. Lorenzo was born in 1989, he studied as a steelworker and he got his degree as a mechanical engineer. Afterwards he found a job in a factory, where he could save some money and decided to buy his first camera. Photography gives him the possibility to experiment and prove himself. Some years later, he approached natural photography, which allowed him to personally discover the different features of natural life; fascinated by this new way of seeing things, he started taking his first steps in the mountains about four years ago. A place which was not much contaminated by mankind, that captures him and gives him the possibility to challenge himself and express his photographic creativity. In February 2016 he is going to start his first adventure in Norway, mainly to capture the aurora borealis. This will engage him for a month, in which he is going to visit places which are hardly achievable and which are not at all frequented in winter. 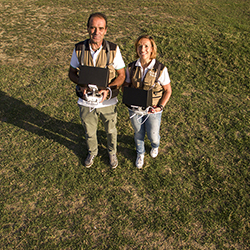 Alte Vedute is a very young company born in 2014, whose bosses (Mr. Daniele Peti and Mrs. Daniela Spadoni) mainly operate in the field of aerial shooting using drones, but they have a more than ten-year experience in video and camera shooting from the ground. Alte Vedute began 5 years ago to use drones for aerial shots and videos, when nobody knew about them. At the beginning the drone was personally built by Daniele and the electronics was much less sophisticated than the current one; as per today they have achieved an unimaginable quality level, despite the first initial difficulties. The two video makers make video-photographic services mainly for touristic promotion purposes, both at private and institutional level. Anyway they work also in other fields, such as the estate and marine industries, they supply video and photographic stuff for events and exhibitions and they support the realization of topographic and architectural surveys. During the last year, Alte Vedute has been collaborating with the Azalai Tour Operator for the realization of trip documentaries in places different from traditional routes. The aerial shots, thanks to the use of drones and other innovative equipment, allows the creation of amazing and original documentaries. Daniele and Daniela, after taking pictures of the uncontaminated places of Namibia and Senegal, will be in Senegal in November, for a new and fascinating documentary. Thanks to the energy of the Tregoo Solar Power Station 40-120 they will be able to recharge the batteries of their equipment and especially of their drones, during their staying in Africa. Gian Luca Gasca (11 September 1991). Mountaineer, blogger, scientific divulgator and motivator, Naturalist for study and passion. He lives at the foot of Mountain Monviso and he trains on its slopes whenever he can. He has got different jobs, from telling about science through laboratories and shows, to indulge in moments of complete loneliness in a natural environment. After learning the basics, he became keen of "sole" mountaineering and that has led him to cross the Alps in 54 days, during summer 2015. He loves travelling alone and challenging the strenght of his body and mind in tough situations and environments, so as to understand the endurance of one single man. 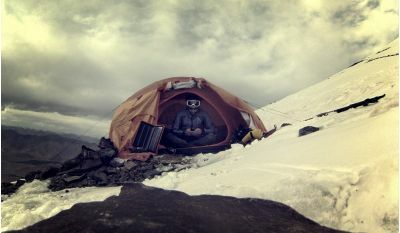 He is particularly attracted by the search for "extreme loneliness" in apparently man-made environments, such as the Alps or the Scottish Highlands. 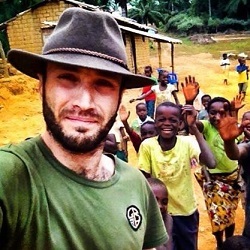 Gian Luca spends the rest of his time motivating young people. 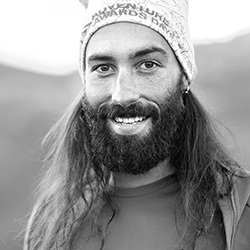 During these encounters he tells them about his passion for mountains and his way of living them, transferring the lessons that they can bring to daily life. Since 2015 Gian Luca is the spokesman for Eco Himal, an association dedicated to the promotion of a sustainable development of Nepalese people. Born in 1971, Nico Valsesia lives in Borgomanero, Novara, where he runs a shop and organizes cycling tours and extreme cycling worldwide. Ski instructor, runner, trailer, cyclist, creator and organizer of races, true to the motto "Fatigue does not exist", Nico has collected over the years a long series of extreme feats of all kinds, gathering - along with sporting success – lots of supporters including some VIP’s like Giovanni Storti from the comical trio Aldo, Giovanni and Giacomo or Aldo Rock from Radio DeeJay. His endeavours include: 4 participations into the RAAM - Race Across America, with a 2nd place in 2006 (best Italian ever) and a 5th place in 2011; record for the ascent of the highest volcano in the world, Ojos del Salado in Chile in 2006; non-stop crossing of the plateau of Bolivia Salar de Uyuni, 3,600 meters above sea level, in 2012; 1st place overall with a record Urbantrail of Brescia in 2013, 3rd place overall Marathon trail Meridian Isla del Hierro (Canary Islands) in 2014; a world record Genoa / Mont Blanc bike / run 316 km in 16h35 ', in 2013. Among its organizational activities various Trail races: Feneratrail 2009-2010; Toubkaltrail, Morocco 2009, 2010; Vialatteatrail, Sestriere (night race on snow in 2009, 2010, 2012). Founder and Technical Director of Red Bull K3 (Italy), the world's first triple-kilometer vertical (climbing over 3,000 meters in altitude in km) taking place on August 2nd, 2014. Philanthropy, adventure and sharing are the pillars of the project Step by Step: mountaineering expeditions around the world, starting points in the humanitarian and environmental awareness. The first "step" was held last year in September 2013, the team has faced three of the highest peaks on the continent from 5.895m Kilimanjaro, the roof of Africa, Mount Meru in Tanzania through 4.566m and Mount Kenya, 4.985m in Kenya: a number of dormant volcanoes of rare beauty. The project has given way to a fundraising to support the purchase of equipment for the preparation of the operating room of the hospital Ikelu in Tanzania, a humanitarian mission supported by the Association Pamoja. This year the team has expanded: as well as Martino Occhi, from Vallecamonica, the consortium will be enriched by two friends, Alex Salvadori from Val Rendena and Tiziano Vanzetta from Val di Fiemme. Together, in July 2014, they will face a Chinese giant, Muztagh-Ata, 7.546 meters, the highest peak in the world fully accessible by ski mountaineering. 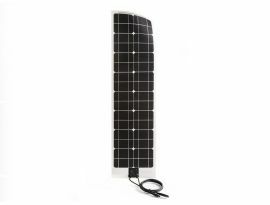 The team will be equipped with Solar Power Stations Tregoo 10-50. ​Geographical Research Association (GRA) is an international organization, which was born with the aim to support any group, association or deserving thinker, by providing them all the necessary means to carry on studies and researches, so that they can reach their goals. GRA manages geographical exploration in unknown or remote areas, can be partner in conducting researches in numerous issues with innovative techniques. It can offer its cooperation for the realization of the relevant projects which aim to life protection and to creating new resources. Tregoo has provided Solar Power Stations to a GRA team , which will leave in early August 2014 for Africa, where they will create some infrastructures necessary to some Congo local communities. ​Engineer and passionate about adventurous trips on board of his kayak, Robert Hewetson is one of the bravest athletes the sea has ever seen. 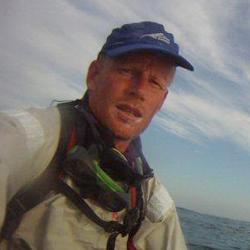 In 2012 he covered 1650 km by kayak from Durban to Capetown, solo and without support. Robert is going to undertake a more audacious expedition: 4700km from the coastline of Mozambique up to Angola. He will be the first human to plough through the Indian Ocean and the Atlantic Ocean, a trip that will last 6 months. The route is likely to be full of obstacles and dangers, such as strong winds, big surf, deserted beaches and areas populated by wildlife. Great endeavours request a top quality resistant and reliable equipment. For this reason, Tregoo will provide technical support to power the instruments used by Robert Hewetson (GPS and satphone primarily) thanks to the ThinLight Solar Panels and Gecko 120 Power Pack. ​Laura Trentani, orthopaedic doctor, and Roberto Ragazzi, professional in the field of rehabilitation medicine, are athletes who always face peaks and extreme temperatures. Partners in life and adventure, under the name of Volley Team, they have covered thousands of kilometers in challenging places, from the Svalbard to Alaska, from Norway to Lapland and passing through Ecuador and Iceland. On February 2015, the Volley Team will make a new great endeavour: the Yukon Arctic Ultra. It is the coldest challenge in the world, due to 160 kilometres among the Arctic’s glaciers, from Whitehorse to Braeburn in the Yukon Territory of Canada. First of all, an endeavour to challenge themselves and their resistance, to be performed in independence and extreme conditions by melting the ice to quench their thirst and sleeping among ices, under the stars at -40°C. Tregoo will give support by providing them with the necessary technical equipment, so they will take advantage of extra energy for their headlamps (since they will always travel in the dark) and their GPS device. They will use a Tregoo Solar Power Station 10-50 and two Lizard 50 Power Packs as backup solutions. ​Born in 1955, Mauro Prosperi is a whole “extreme” athlete. In 1984 he was part of the modern pentathlon team which gained the Olympic gold medal in Los Angeles. He is currently coach and sport trainer for running, fencing, swimming, horse-riding and shooting. During his career, he has achieved excellent results, by taking part in countless marathons and ultramarathons. In 1994 it was the turn of the desert ultramarathon run in Morocco, the “Marathon des Sables”, which was an unbelievable experience leaving Italy with bated breath: got lost due to a sandstorm, Prosperi was able to survive for even ten days in very hard conditions, covering 299 km before being rescued by a nomad shepherd family. The story regarding that adventure and the techniques used to survive in such hostile conditions ended up in a book and a documentary aired on worldwide TV broadcasters. 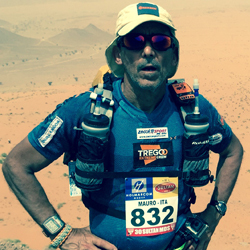 Tregoo, alongside Mauro Prosperi, will provide support for his new endeavours: the circumnavigation of Sicily by kayak, solo and in complete independence as well as the next Marathon des Sables. ​Born in 1972, Andrea Leone is an italian photographer and a documentary film maker. His work has been exhibited in most important public and private location in Europe. At the moment he lives in Milan where he is working about many city projects. As from May 2015 he will make a solo walking trip in Iceland, without any support team, covering over 2800 Km in 8 weeks. Andrea Leone will be on the road in fully food autonomy. To fulfill the goal he is on training as from January 2014. During the trip he will realize his new documentary and two photo reportages who will published in a book in February 2016. In Iceland he will use a Tregoo Power Station 40-120 to power the instruments used: Gps, photo cameras and other technical equipment. ​Anita Burgholzer, born 1980, and Andreas Hübl, born 1976, met back in 2002 in their birth city Steyr, Austria. They soon encountered their common passion: Travelling and adventure. From the beginning, they did extended trips off-the-beaten-track, such as Australia, Yemen and Southeast-Asia. In 2008, Hübl Andreas participated as „Team Edelweiss“ at legendary „Mongol Rally“ and went in an old Fiat Panda from London to Mongolia. 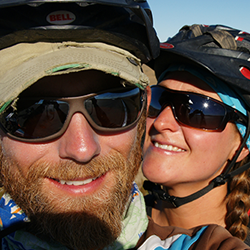 In 2010, Anita and Andreas cycled around the globe for 28 months. An epic journey which changed the lifes of the adventurous couple entirely. Today, Anita works as a self-employed graphic designer. Andreas left his career as a business economist behind and now guides mountain bike trips over the Alps. Additionally, both wrote a book and hold regular speeches on their adventures. In summer 2015, both set out on their next adventure - they will cycle on a solar-powered tandem from Milan to Kazakhstan - as participants at "The Sun Trip 2015". Three TL130 ThinLight Solar Panels will provide the power to charge the batteries of their specially adopted Pino E-Tandem from Hase bikes.